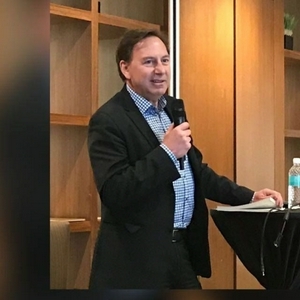 Hi I’m Mark Anielski an economist and the author of An Economy of Well-being: Common Sense Tools for Building Genuine Wealth and Happiness and the award-winning book The Economics of Happiness. Marilynn Hughes is my next guest on an economy of well-being podcast. Marilyn is a Christian mystic. She has experienced, researched, written and taught about Out-of-Body Travel and Mysticism since 1987 and has appeared on innumerable radio and television programs to discuss her thousands of out-of-body experiences. She is featured in the documentary film ‘The Road to Armageddon’ which was released in the Fall of 2012 and has been included in ‘The Encyclopedia of the Unseen World,’ Marilynn Hughes founded ‘The Out-of-Body Travel Foundation’ in 2003 (Mission – Reduce Spiritual and Physical Hunger Worldwide). Marilynn has written 98+ books, 40 magazines and around 15 CD's on Out-of-Body Travel and Comparative Religious Mysticism. These books, along with accompanying music and art, are all available for free download. She has studied the Ancient Sacred Texts of all Major and Minor World Religions extensively, as well as the fullest breadth of mystical teachings and works. She has one of the most extensive library of mystical works I’ve ever seen. Marilynn came across her vocation as a mystic unexpectedly. When she was nine years old, she had her first profound vision wherein she saw the heavens open and a beautiful marble staircase surrounded by angels led to the throne of God. In this experience, she was told many things, among them that He would return to her later in her life and give her a mission. When she was 22 years old, she had her first out-of-body experience completely unexpectedly which began a process of journaling which would unleash thousands of out-of-body travel and mystical experiences over the next decades which began and led the process which changed her life, her career and her focus from then forward. Marilynn joins me today from her home in the US to talk about how she sees an economy of well-being and love emerging in our world that often seems so dark and hopeless. In the face of these seemingly overwhelming challenges she gives us what just might the ‘red pill’ for a more joyful future. Jacqueline Cardinal is a gifted young (28) indigenous woman. Jacqueline was recently named as one of the top people under 40, along with her brother Hunter Cardinal (24), by Avenue Magazine. Jacqueline is a serial entrepreneur. She is the co-owner and Managing Director of Naheyawin, and indigenous owned and operated consulting firm that creates and searches for tools to assist indigenous and non-indigenous peoples in their effort to reclaim the spirit of the Treaties and to build a new relationship (a new story) for a better and more vibrant future for Canada. She spoke with me today (01.21.2019) in Edmonton about what gives her hope and about her journey and challenges as an indigenous entrepreneurial woman. She and her brother Hunter have produced a new play called Lake of the Strangers. Lake of the Strangers was Inspired by ancient Nehiyaw mythology; the story follows two brothers in their last summer adventure, through forests, rivers, and not knowing. Lake of the Strangers is a journey of two brothers finding each other and themselves. Lake of the Strangers is playing at the ATB Financial Arts Barn (Backstage Theatre) until February 2, 2019. Carol Anne Hilton is one of the leading First Nations thinkers and leaders in Canada. Her concept of 'indigenomics' is gaining more attention in Canada and around the world. In 2018 she launched the Indigenomics Institute, the leading research, education, and engagement platform for supporting the rebuilding and design of Indigenous economies of Indigenous peoples worldwide. The Institute works to facilitate the realization of Indigenous modern political, economic, legal and community development objectives. Indigenomics is a dialogue and design platform to bring attention and focus to the growing Indigenous Economy; estimated to reach $100 billion in Canada in the years ahead. An Indigenous economic growth future is good for everyone and will bring new hope for all Canadians. December 22, 2018 My next special guest is Lil MacPherson, a businesswoman and restaurateur based in Halifax, Nova Scotia. Lil is the the co-founder of the Wooden Monkey restaurant. I first met Lil in Halifax in 2007 when she hosted a book salon in her restaurant for my first book, The Economics of Happiness. The Wooden Monkey believes that sustainable agriculture protects our environment, public health, human communities, and animal welfare. Lil believes that sustainable agriculture also produces foods that are better for you than the highly processed industrial alternatives--and you sure can taste the difference! Lil is passionate about food; she believes that serving good, local and healthy food is the base of better lives. In 2016 Lil ran for the mayor of Halifax against the incumbent Mike Savage. She did very well considering this was her first crack at politics. We spoke today about her current interests and her vision of the future for Halifax and Canada. What would an economy of well-being for Alberta look like? Author Mark Anielski outlines his vision for a new economic future for Alberta. Bonnier Trottier, a former child-care social worker and Valleyview community coordinator, has been a major part of the fledgling Valleyview Well-being Coalition. Bonnie was asked by Town Manager, Marty Paradine, to become a key architect of the Coalition as part of her applied studies in community planning at McEwan University (Edmonton). Bonnie was instrumental as a connector and catalyst for getting the Coalition up and running. Bonnie has become a champion of well-being in Valleyview (a small community of 1800 people) and sees well-being communities as the future for development of communities across Canada. I spoke with Bonnie from her home in Valleyview Alberta on July 13, 2018 to reflect on her experience with the Valleyview Well-being Initiative. Suza Singh is a remarkable women. Suza is an action film maker originally from Manchester UK living in Calgary, Alberta. She has some bold ideas about this interesting genre of film and casts women as modern action heros. Her recent film, Replican, cast her own daughter. We spoke about how to present ideas like well-being and soul craft in film. John Cobb Jr. is one of world's most important theologians of our era; a master of Alfred North Whitehead's process theology. At 93-years of age Cobb's mind is remarkably sharp. His wisdom is unparalleled. He joined me today from his home in Claremont, California to talk about his most recent journey to China and South Korea, where he gave 14 public addresses on the subject of building an ecological civilization in Asia. He explores how a resurgence in classical Chinese thought and Confucian ideas in China is a sign of hope for Asia and the world. Peter Block, a 78-year-old master of public sector governance consulting and someone passionate about communities, joins me from Cincinnati on a far-ranging, wisdom-filled conversation. Peter has been my mentor and friend. He has been working with John McKnight and Walter Brueggemann on the Economics of Compassion and the Jubilee Project in Cincinnati. Author John McKnight joins me today in a special interview about his legacy of work as a community organizer. His work inspired me to think about community assets differently; assets are the diversity of gifts, skills and competencies we all have to share with others without compensation for money. McKnight is the author of The Careless Society, a classic critique of professionalized social services and a celebration of communities’ ability to heal themselves from within. He is co-author of Building Communities from the Inside Out (with Jody Kretzmann), the Abundant Community (with Peter Block) and An Other Kingdom (with Peter Block and Walter Brueggemann). McKnight is Co-Founder of the Asset Based Community Development Institute and a Senior Associate of the Kettering Foundation. John has been helped inspire the Edmonton Abundant Community Initiative led by my friend Howard Lawrence. Howard was inspired by the work of McKnight and Peter Block. Legendary Old Testament scholar, theologian and teacher Walter Brueggemann joins me today from his home in Michigan to talk about his life's work and his new book A Gospel of Hope. At 85 years of age, Brueggemann is one of the most important voices of our age reminding us of the importance of embracing the truth of abundance and challenging the dominant economic paradigm of scarcity, indulgence and fear of lack. He calls us all to practice each day with our neighbours acts of love, charity and sharing in our individual and collective gifts and assets. He argues that society today is in a state of collective amnesia having forgotten the words of both the Old and New Testaments in which God continues to reveal the truth of abundance not scarcity. Walter calls us to find our voice and sing a new song, just as the Israelites had to find their own voice to say no to slavery of ancient Egypt trusting in divine providence and Manna (food from heaven). Robert Dellner, a London-based investment banker, impact investment expert and master of credit risk, joins me on my show exploring new avenues for impact investment that would take a well-being perspective. Robert joined me from his home in Woking just south of London. Today (July 15, 2018) I'm pleased to have a pre-recorded interview between my previous guest, Aneeqa Malik, and Dr. Muhammed Amjad Saqib, the founder of Akhuwat (http://www.akhuwat.org.pk/). Dr Muhammad Amjad Saqib is the Founder and Chairperson of Akhuwat, the world’s largest Qard-e-Hasan Trust, the world's largest interest-free micro-finance program. He has also worked as a consultant for various international development agencies, such as the Asian Development Bank (ADB), International Labor Organization (ILO), UNICEF, the World Bank, Canadian International Development Agency (CIDA), USAID and DFIDDr. Dr. Saqib talks about the unique merits of Akhuwat in providing over 2.9 million poorer families in Pakistan with interest-free loans so they can become more self-reliant. Akhuwat aims to alleviate poverty by creating a bond of solidarity between the “haves” and “have nots." How might this model of zero-interest banking be applied in Canada, the US and other countries? My guest is Aneeqa Malik, a London-based, Pakistani-born Transformation Management Consultant and Soulidarity Stewardess. She is Akhuwat UK’s Senior Research and Development Strategist. She is an Action Learning (ILM) & Research Facilitator and a Research Fellow at TRANS4M’s Centre for Integral Development, Hotonnes, France. She is currently on a PHD (Personal Holistic Development) program for TRANS4M’s ‘CARE-4-Society’ module. Aneeqa is also a practising Sufi. She spoke to me today from her home in London about her work, what it means to be a Sufi in our complex world as well as introducing us to Akhuwat, a interest-free micro finance system based in Pakistan. Akhuwat is the world's largest interest-free microfinance program founded by Dr. Amjad Saqib in Lahore, Pakistan, started in 2001. Bonnier Trottier, a former child-care social worker and Valleyview community coordinator, has been a major part of the fledgling Valleyview Well-being Coalition. Bonnie was asked by Town Manager, Marty Paradine, to become a key architect of the Coalition as part of her applied studies in community planning at McEwan University (Edmonton). Bonnie was instrumental as a connector and catalyst for getting the Coalition up and running. Bonnie has become a champion of well-being in Valleyview and sees well-being communities as the future for development of communities across Canada. I spoke with Bonnie from her home in Valleyview Alberta to reflect on her experience with the Valleyview Well-being Initiative. I hope you find her reflections meaningful regarding the importance of building trust and engaging citizens in helping to improve the well-being conditions in their community. Join my next guest, Marty Paradine, an engineer and the town manager of a small Alberta town called Valleyview (2000 people). Marty was instrumental in envisioning and leading the Well-being Project for the town of Valleyview between 2016-2017. The project resulted in the development of a Well-being Index for the towns citizens and a Well-being Measurement and Governance system, perhaps the first municipality in North America. Marty and I explore the challenges of measuring well-being, incorporating well-being impacts into planning and budgeting, how to demonstrate value for taxes through a well-being lens, and how to orient municipal asset management to improving the well-being of a community. 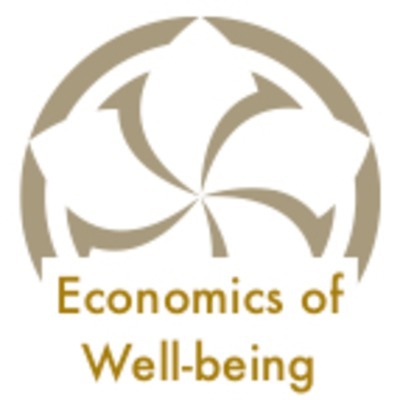 My next guest on The Economics of Well-being podcast show is Laura Musikanski. Laura is the executive director of The Happiness Alliance and former executive director of Sustainable Seattle. A lawyer by profession, Laura is passionate about measuring the well-being and happiness of communities and nations. Laura shares some of her recent experiences in measuring well-being with her non-profit organization having surveyed over 80,000 people around the world. Discover what new things Laura has learned from assessing the well-being of young people and countries like Kuwait and United Arab Emirates. How can we genuinely incorporate well-being measurement in the process of governance of communities and nations? John de Graaf is my new guest on An Economy of Well-being podcast. John is a Seattle-based independent producer of the award-winning television documentaries Affluenza and Escape from Affluenza, and is the national coordinator of Take Back Your Time Day. He spoke to me today measuring happiness and about his new project call And Beauty for All. Intuitively we know there is a connection between beauty and our sense of well-being and happiness. 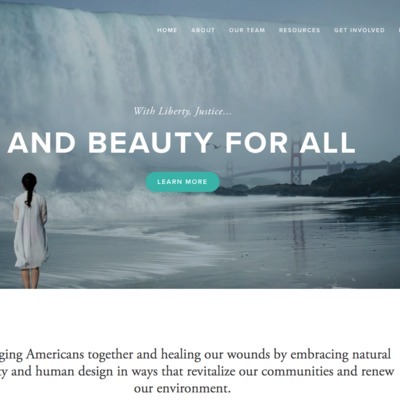 We believe all Americans appreciate beauty, regardless of their political views, origin, economic status or creed, and that working to restore beautiful landscapes and create beautiful places is a non-partisan cause that can bring us together and build community in polarizing times. In this short podcast I introduce the idea of how businesses can incorporate well-being principles and practices into their operations. Can a new Well-being Bottom Line become the fundamental measure of success of a new generation of business leaders that aspire to contribute to the genuine well-being and happiness of their clients and communities they serve? This is my first rough cut podcast about my personal perspective on personal happiness and well-being.